A Tallahassee lawyer released 80 more pages of records relating to Gillum's dealings with a former friend and lobbyist. OCTAVIO JONES | Times Florida Gubernatorial Democratic candidate Andrew Gillum greets the crowd after giving a speech during the Florida Democratic Party rally held at the University of South Florida in Tampa, Florida on Monday, October 22, 2018. 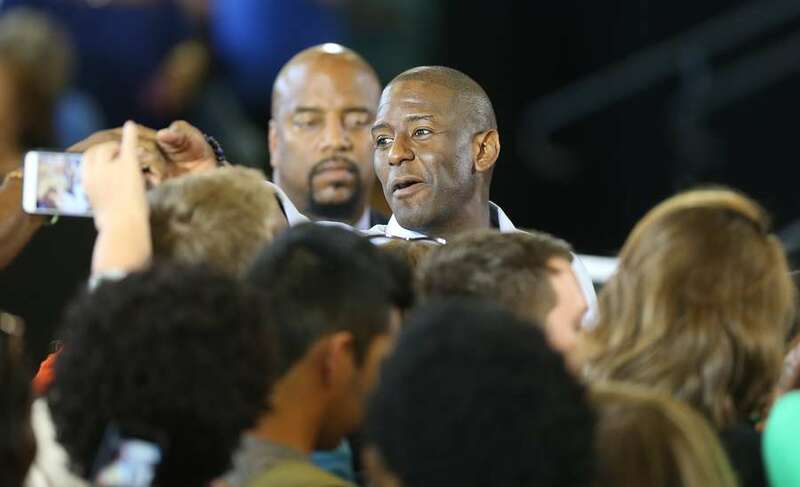 TALLAHASSEE — An undercover FBI agent might have paid more than $4,000 in food and drinks for one of Andrew Gillum's campaign fundraisers in 2016, according to a new batch of records released Friday. But the contribution in early 2016 does not appear in the records for Gillum's political committee, raising new questions less than two weeks before Florida's governor's race between Gillum and Republican Ron DeSantis is decided on Nov. 6. The fundraiser for Gillum's political committee, Forward Florida, was on April 11, 2016 at the home of Adam Corey, a former lobbyist and a former longtime friend of Gillum's, according to an invoice and emails released by Corey's lawyer, Chris Kise. Emails show Corey billed "Mike Miller," who happened to be an undercover FBI agent investigating Tallahassee corruption, for the $4,300 tab. "Attached is the invoice for the dinner you graciously offered to sponsor," Corey wrote to Miller five days after the fundraiser. "As mentioned, it was a bit higher than I expected because of some last minute attendees so let me know what you would like to cover and I'll handle the rest. Again, I really appreciate this!" 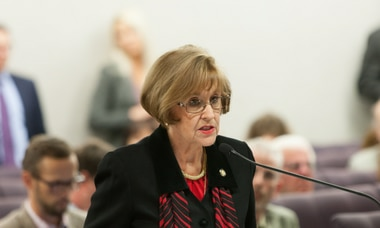 Forward Florida's records do not show the contribution, and it's unclear from the records whether Miller, or someone else, ultimately paid for it. Geoff Burgan, a Gillum campaign spokesman said in a statement that Kise's decision to release the records was politically motivated, and that Gillum "did not receive any contributions or in-kinds from Mike Miller." But an email from Corey to Brice Barnes, a campaign finance consultant who was helping Gillum at the time, indicates that Gillum was aware of Miller's help. "Did he connect with Mike Miller to thank him for co-sponsoring the food?" Corey asked Barnes. "He sent him a personal note," she replied. Reached Friday, Barnes said "I don't have any information other than the email exchange." Juan-Carlos Planas, an elections law attorney and former Republican Miami-area state Representative, called the lack of reporting "a clear violation." "It's something that should automatically be sanctioned," he said. Planas said campaigns are often lax about documenting in-kind catering contributions despite the requirements of state law. He said he's a stickler with his clients because it's something that can easily be overlooked on finance reports. 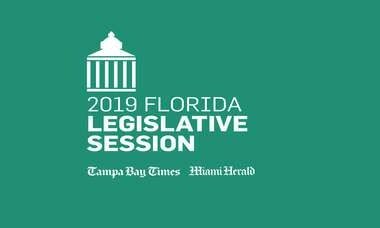 Mark Herron, the attorney registered as an agent for Forward Florida when the committee initially opened, did not immediately respond for comment. The latest release of records came from Kise, a Tallahassee attorney who on Tuesday released 150 pages of records, including texts messages and emails between Corey, Gillum and Miller. Those records indicated that undercover agents gave Gillum a ticket to the Broadway musical Hamilton during a trip to New York in 2016, a revelation that has dominated the second-to-last week of Gillum's historic run for governor. Gillum cut ties with Corey, his friend since college, last year. But the more than 80 pages of records released Friday led to additional questions about Gillum's coziness with the former lobbyist and his clients. Corey either arranged or attended seven trips for Gillum in 2016, including a February trip to Tampa to meet with affordable housing developer Peter Leach, one of Corey's clients, and a two-night trip in Atlanta in July. Friday's records show Leach billed Corey $200 for the round-trip flight aboard his company's jet. Gillum paid for his share out of his office account, according to previous reports. While on the trip, Gillum also met with former Gov. Charlie Crist, who was running for Congress, and former Chief Financial Officer Alex Sink. "The mayor was invited by Peter Leach to a meeting at his office to learn about some of the work he was doing to advance wrap-around social services in schools and housing developments," Gillum's chief of staff, Jamie Van Pelt, told the Tallahassee Democrat last year. "While visiting Tampa the mayor also met with local political leaders before returning to Tallahassee." The purpose of the Atlanta trip is unknown. The records include emails with Gillum asking Corey to upgrade his room at a Westin hotel, but they do not show who ultimately paid the bill. Kise said Friday that Gillum did not reimburse Corey. "Mayor Gillum did not pay Corey for those hotel rooms," he said. "You will have to ask him for his credit card records to determine whether he paid for them himself." Kise, who has been has been compiling the records in response to a Florida Commission on Ethics probe looking into whether Gillum accepted gifts worth more than $100 without disclosing them during the New York trip and a trip to Costa Rica. The complaint was filed this year by Tallahassee businessman Erwin Jackson, a longtime Gillum critic. On Thursday, Jackson said he had asked the ethics commission to include the Tampa trip in his complaint. Times reporter Kirby Wilson contributed to this report.